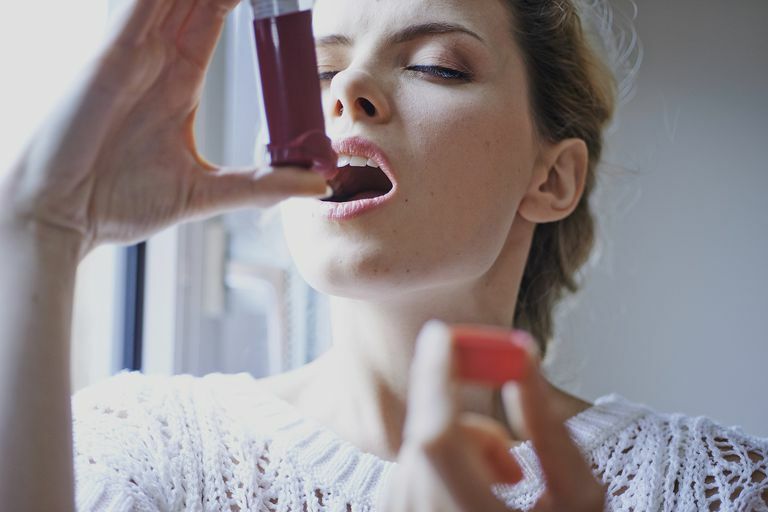 Are you wondering what's the best medicine for your asthma? It depends on how severe a person’s asthma is. Everyone with asthma should have a rescue medication available, such as albuterol, for the quick relief of asthma symptoms. However, the majority of people with asthma also require a controller medication. A controller medication is used to prevent asthma symptoms and is taken every day regardless of how the person’s asthma is doing that day. First, find out if your asthma is controlled; and whether you should see your doctor so that a controller therapy (or a different controller therapy) can be prescribed. What Is the Best Medication for Asthma? Controller medicines are those medicines that are taken every day (sometimes multiple times a day) regardless of asthma symptoms. These medicines are taken all of the time in order to control the inflammation and swelling of the airways. This leads to less irritation and constriction of the muscles around the airways and therefore fewer asthma symptoms. These medicines usually take a few days to a few weeks in order to start working, but then a person with asthma notices that less and less rescue medicine is needed. These include inhaled steroids such as Flovent (fluticasone) and Pulmicort (budesonide), leukotriene blockers such as Singulair (montelukast), and combination therapy with long-acting beta-agonists such as Advair (fluticasone/salmeterol) and Symbicort (budesonide/formoterol). Other medicines, such as theophylline and Xolair, are typically used in addition to an inhaled corticosteroid or leukotriene blocker to control asthma. It would be unusual for a patient to only take theophylline or Xolair without another medicine to treat asthma. Talk to your doctor about the best combination treatment for you. Which Medicine a Person Would Actually Take Regularly? It doesn't matter how well a medicine works if a person forgets to take it. Many people like the idea of taking a once-daily pill, such as Singulair, for the long-term control of their asthma. Unfortunately, Singulair is not a particularly good asthma medication for most people, although it does work well for some. It would be reasonable to try a medication like Singulair, as long as there is a re-assessment of asthma control after a period of a few weeks. Most inhaled steroids are taken twice a day, although some are FDA-approved to be taken once a day (such as Asmanex). Which Medicine Is Most Likely Able to Control a Person's Asthma? Inhaled steroids are the preferred controller medication for people with uncontrolled asthma. These medications provide better control of asthma symptoms and prevent future asthma attacks better than leukotriene blockers. For those people whose asthma is not well controlled on an inhaled steroid or those with more severe asthma, the combination of an inhaled steroid and a long-acting beta-agonist may be required. This combination therapy appears to be the best medication for these people, which results in the reduction of asthma symptoms, improvement of lung function, and the reduction of use of rescue medications. Which Asthma Medicine Is the Safest, While Still Controlling the Asthma Symptoms? Inhaled corticosteroids causing thrush, growth suppression and bone thinning. Singulair causing mood and behavioral changes. Inhaled corticosteroids and long-acting beta agonists (such as Advair) causing worsening asthma in certain ethnic groups. Xolair causing anaphylaxis (severe allergic reactions). Dennis RJ, Solarte I, Rodrigo G. Asthma in Adults. BMJ Clin Evid. 2011.13; 2011. Expert Panel Report 3 (EPR3): Guidelines for the Diagnosis and Management of Asthma. 2007.